Sahara 99555 Meteorite thin section in cross polarized light. 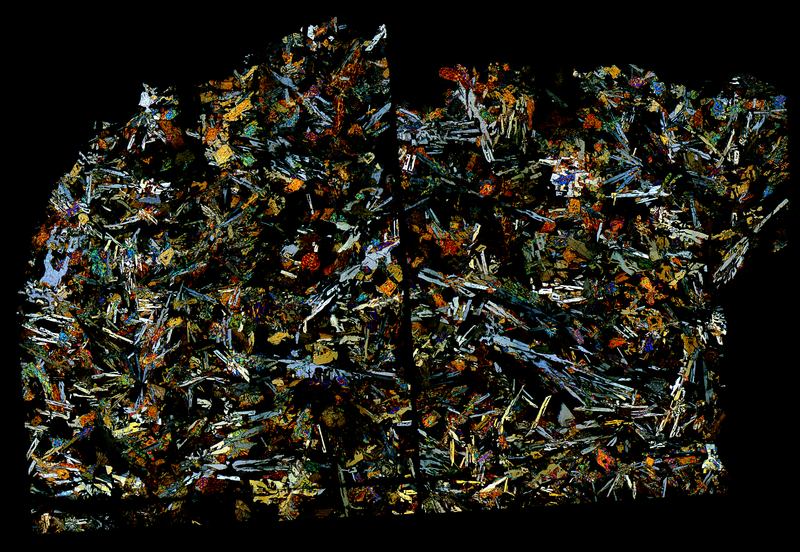 This was purchased from Luc Labenne; he mentioned that this was his last thin section specimen of SAH 99555 and that it suffered a horizontal fracture near the bottom. Despite the crack, this angrite classified meteorite produces spectacular visuals.